Thank you, thank you SO MUCH to everyone who participated in Shortie Week by entering the giveaway with Emmeline Textiles and finding this page through your friends and fellow lovers of woven wraps. If you're a returning visitor I give you my heartfelt gratitude that you're here again and if you're new, I hope you can find some inspiration and fun with what goes on here at Amy Wraps Babies. All last week, we celebrated the shortie* with a whole bunch of fun stuff involving short woven wraps. Here's a wrap up (that pun never gets old to me) of the resources that came out of that week if you missed anything! On Monday, April 11th, we kicked off the giveaway sponsored by Emmeline Textiles. Exactly one week later, a winner was announced who gets to receive the size 4 Eleanor Pearl, an awesome Emmeline Textiles mug, and a pair of size medium bronze sling rings to make that shortie length go even further. On Monday we also started a new wipe board feature on Periscope and tied a Lola's Back Carry. Tuesday was the release of a special THREE posts about What to do with a Short Wrap: 8 Front Carries, 7 Hip Carries, and 17 Back Carries, plus a few that I missed, from base-4 to base-2*. 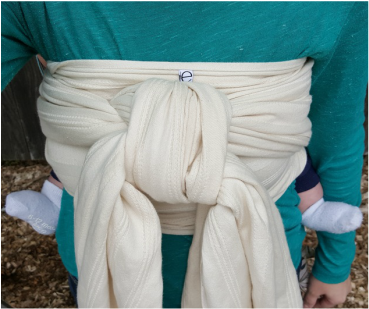 On Periscope we followed the prompt for the #creativewrapchallenge on Instagram and tied an "old favorite," the Front Reinforced Torso Rebozo (Now referred to as Front Reinforced Torso Sling carry). On Wednesday the 13th, we shared our first Wordless Wednesday on Periscope. We tied a Double Hammock Double Rings (DHDR) for the #sealedwitharing challenge and several of my wipe board signs are in action. Thursday, April 14th: A new episode of Wrap Geekery! Subscribe to Amy Wraps Babies on YouTube to be notified first new episodes are posted. In this episode we're comparing some shortie front carries that are all variations on the Front Wrap Cross Carry (FWCC). On Periscope we tied a Semi Front Wrap Cross Carry (with spoken words but also with my fun signs). Friday is usually #fancyfinishfriday on Instagram, so for Shortie Week we kept things going with a new blog post here with a bunch of resources for getting fancy on Friday... or any day! Over the weekend, a new tutorial was posted for a ring tie-off (A Quick Ring Tie-Off with The Loop Method!) and we got ready to announce the giveaway winner on a bright and cheery Monday morning. The prize of a size 4 Eleanor Pearl by Emmeline Textiles, plus some sweet extras, has been claimed. Thank you again for a great week everyone!! 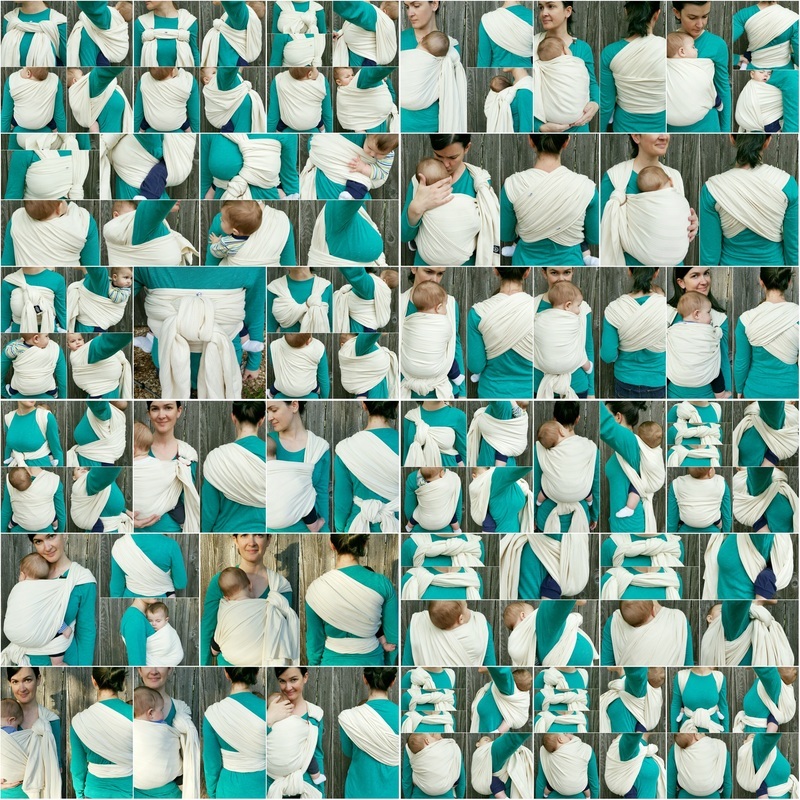 * A shortie, or short wrap, is a woven wrap that is shorter than base size (please see this post for more on what "base size" means if you're unfamiliar). Some people are a base size 5 or 4 and therefore could use the inclusion of base-1 or base carries in Shortie Week. I acknowledge more carries could be done by people of those base sizes with the size 4 that is being given away but for the sake of focus on shorties for Shortie Week we'll stick to mostly base-3, some base-2, and as much base-4 as I can find.